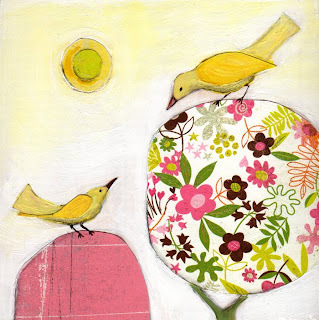 "Hello Friend" (5.5 inch mixed media on wood) -- original available on ETSY. 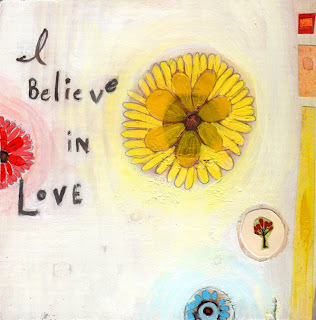 "I Believe in Love" (5.5 inch mixed media painting on wood). Original is sold, but prints available on ETSY.